City of Toronto, Downtown Toronto + throughout the GTA. 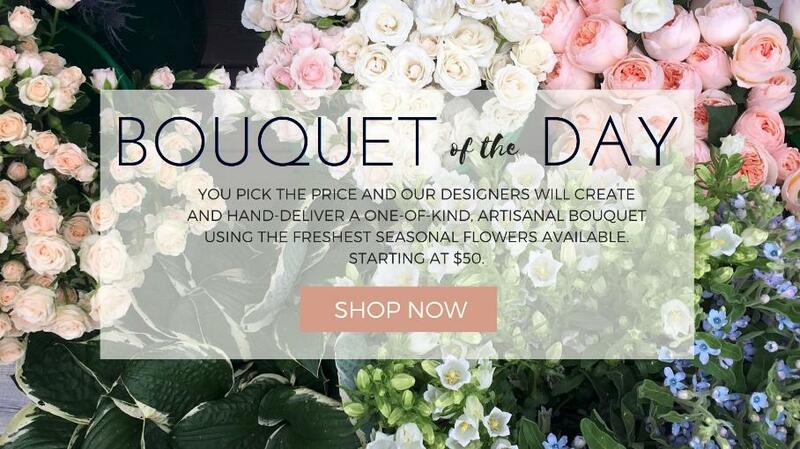 All our bespoke bouquets are made with the best blooms fresh from market. A selection of the most unique flowers and foliage available. BOTANY has the perfect arrangement to mark all your special occasions. Our bouquets come beautifully wrapped in our signature black crafted paper, tissue, and finished with twine. Our arrangements come in a range of contemporary and stylish vases and ceramic containers. Orders placed by 11AM on weekdays and on Saturdays (local Toronto-time) are eligible for same day delivery. Typically, Business Delivery is guaranteed before 5PM and Residential Delivery before 6PM. Please Contact Us directly to inquire about a timed delivery. When placing your online order, you can schedule your order for a future delivery date. We are closed and do not make deliveries on Sundays or Statutory Holidays. For Local Delivery or In-Store Pickup, please feel free to Contact Us or place your online order below.